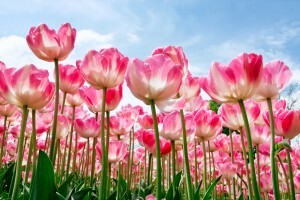 One of the latest gardening trends that has become popular in recent years is plantscaping. Plantscaping involves placing potted plants in an indoor area. Although this seems simple, plantscaping involves strategy and offers many benefits. Plantscaping is the strategic arrangement of plants in an indoor space. When done correctly, plantscaping can bring beautiful visual appeal to your home. Plantscaping can also be used to spruce up deck and patio areas. Plantscaping depends on a number of things. What do you want to accomplish with your plants? Do you want a bright, flowery look? Or something more toned down? Plantscaping is a great way to extend your outdoor garden into your home. It can bolster the ambiance of an area. For instance, no air freshener will ever smell as beautiful as a natural lavender plant. For a trendier look without a scent, you can add some succulents to your space. Having plants inside your home is both visually appealing and offers some practical benefits. Plantscaping in your living area can help to purify your air. 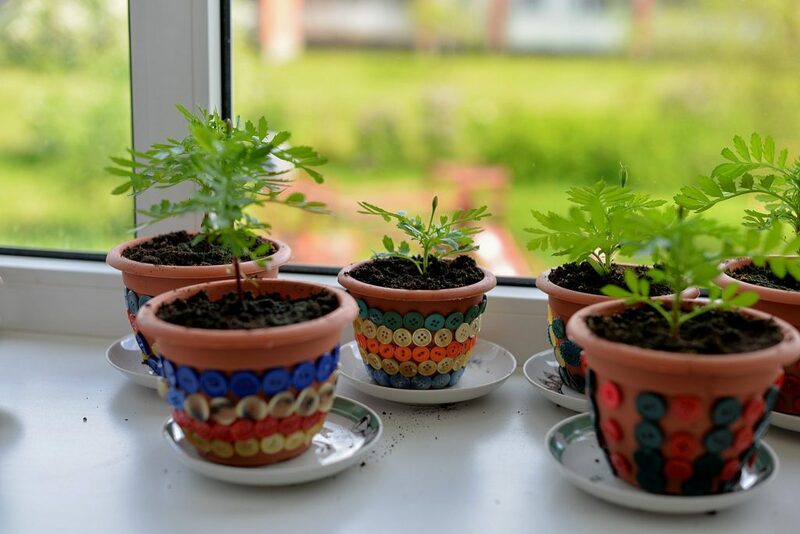 There was a famous NASA experiment done in the 1980’s showing that potted plants indoors can help cut down on cancer-causing compounds in the air. The more surface area your plant has, the cleaner your air will be. Indoor foliage can also help boost your mood and energy. They can also help you feel more relaxed and at ease in your space. Studies have shown that companies with indoor plants have healthier and happier employees. According to Forbes, offices that have a higher amount of indoor plants showed a boost in cognition and sleep quality. Overall, having plants in your work-space is incredibly beneficial to your mood and productivity. Every garden is different and likewise, every indoor plant space will be different. If you are new to plantscaping or gardening, it’s smart to start with plants that don’t require a lot of attention. Spider plants, peace lilies, aloe, and dragon trees are all great starter plants. Once you get the hang of these beginner plants, you can move onto ones that require more complex care. Evaluate your space. Will your plants be exposed to enough sunlight? Will they have ample room to grow? Are they in danger of being bowled over by kids or pets? Once you know what you are capable of, you can begin setting up your plantscape. Next, work on your setup. Arrange the plants in a way that adds to the room without becoming an overwhelming presence. Layering your plants can add design and depth to your space. Hang some from the ceiling, leave some on the ground, and place them everywhere in between. This will add a fun and trendy dimensional feel to your living area. Choose pots for your plants that tie in with your area. If they coordinate with the other decor in your room, the entire space will have a more cohesive look and feel. To begin, pick a good soil potting mix to home your plants. It is important not to take soil from your yard or garden. This may be filled with insects, fungus, and weeds. Buying soil will ensure that your plants have access to all the minerals and nutrients they need to thrive. Some soils even come with fertilizer built in. Talk to experts at your local gardening center to see what brands they recommend. To begin, only plant one type of plant per pot. Different plants have different needs and it can be hard to accommodate light and watering schedules when you have too many variations of plants sharing a small space. Because your plants are indoors, they will need more care than outdoor plants. Giving them fertilizer is a great way to ensure that all of their needs are met. Deadheading (aka trimming off dead parts of the plant) is also an important way to keep your plants healthy. Even though your plants are indoors, there are some pests to be aware of to keep your plants safe and healthy. Mites, mealybugs, and scale are all things that can threaten the health of your plants. The key to success here is preventative care. Groom your plants regularly and keep an eye out for any threatening-looking growth or activity in the pot. It is also important to not overwater your plants and to be aware of their exposure to moisture. Too moist of an environment can lead to rot and eventually kill your plants. Overall, plantscaping is a great way to boost your health and to benefit your space. Plants help keep you healthy and happy and can give your home a trendy and fresh new feel. 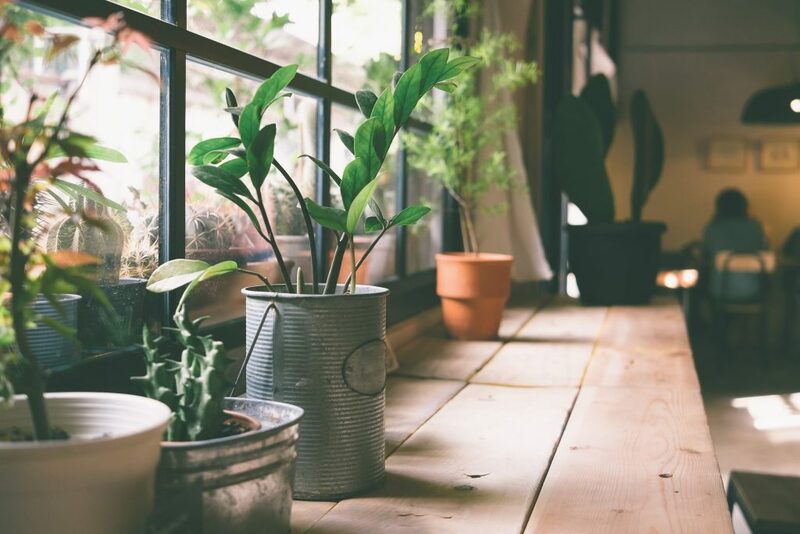 Bringing plants into your home offers many benefits. If you are interested in plantscaping and have any questions, contact our experts at Hidden Creek today. Patios are the perfect summertime hang out spot. 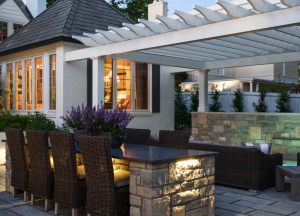 With the warmer weather and longer days, it’s a great time to get ready for patio gatherings and events. Your outdoor space is an extension of your home, so it should be comfortable and cozy. You want to be sure that it is spacious enough to entertain guests. 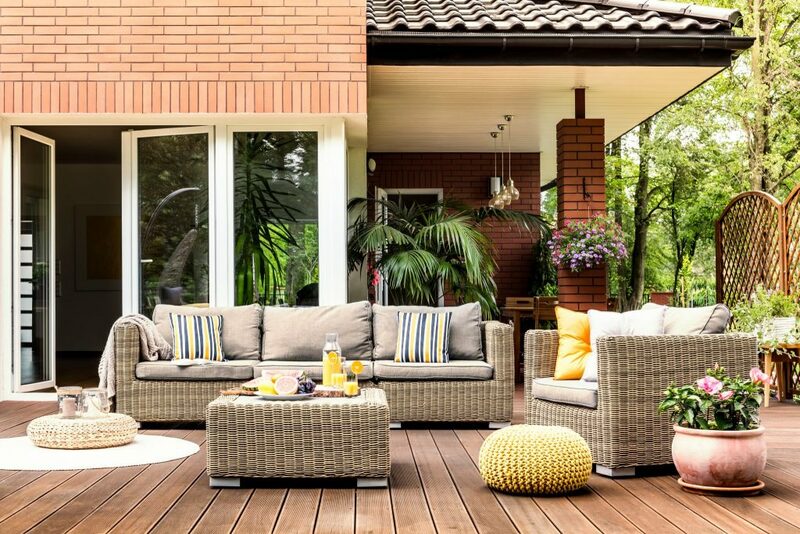 Most of all, your patio should meet all of your family’s needs and fit in with your personal style. If you are looking for ways to spend more time outside, consider renovating and refurbishing your outdoor space. Before you get started, think about your desired style and theme. The style can be casual, modern, traditional, colorful, rustic, simple, or any combination of the above. A few possible decorating themes are seaside, tropical, floral, or old world charm. Whether you are redecorating or building it from scratch, be sure to plan ahead and think about how to best use your space. Consider how much seating you need, where the entry point will be, and how to make it accessible. Think about the primary uses of your patio, such as whether it will it be for lounging, dining, or entertaining. There are many ways to add structure to your patio. To make it cooler and more private, you can build a pergola or a privacy wall or fence. A pergola, a type of gazebo made from cross beams and lattice supported by tall pillars, is a perfect way to protect you from the glare of the sun and can serve as a good place to hang lights, plants, and decorations. Umbrellas can also be used to keep you cool on hot summer days. Once you have a basic plan in mind, you can begin to think about the design details and colors. For summertime, consider using bold colors like teal, red, orange, and yellow. A colorful design will keep your space fun and vibrant. If you are looking for something more relaxing you might stick with natural materials such as wood, stones, and bricks. As you select your furniture, look for items that are comfortable, waterproof, and sun resistant. Durable and weatherproof, outdoor furniture can be left out and enjoyed for months. The fabrics won’t fade in the sun. They feel soft and comfortable and are filled with quick dry foam so you don’t have to worry about bringing them in when it rains. There are many beautiful pieces of outdoor furniture available in just about any color and style. Lighting is an important consideration if you plan to use your space at night. String lights, lanterns, bistro lighting, a metal chandelier, torches, candles, outdoor fireplaces, and fire pits are some clever ways to incorporate lighting in your outdoor living space. To make your outdoor space into a beautiful garden getaway, include plants, flowers, and landscaping. 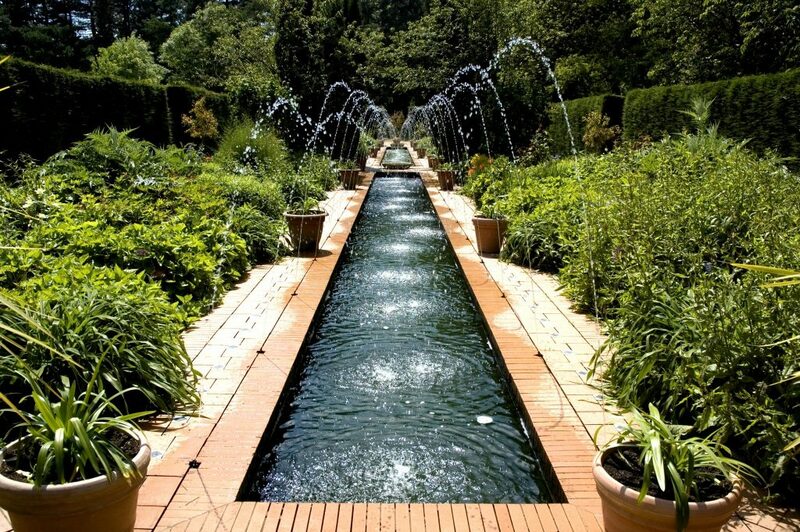 You can incorporate water by adding a fishpond, a mini waterfall, a sunken spa, or a pool. To make it into a relaxing paradise, include a hammock, lounge chairs, loveseats, a wrap around deck, a rock wall, or stone arches. If you plan to entertain a lot, you will want to incorporate a few additional items, such as extra seating, countertops, tables, outdoor appliances, and a bar. Bringing out linens, table runners, and benches will make your guests feel comfortable and at home. Finally, add some finishing touches to make it feel cozy, such as colorful outdoor area rugs, pillows, cushions, and decorations. Have fun and be creative with the décor. Keep it casual and relaxing or add some exciting patterns and bold colors. And don’t forget to install an outdoor sound system so you can listen to music. Once your space is ready to go, there are many summertime events you can plan. Use it in the mornings for your morning coffee and breakfast. Use it for meetings with friends or colleagues, for family barbecues, picnics, and small get-togethers. Have some friends over for outdoor cocktails and serve fun refreshments such as fruit punch, wine chilled on ice, and a charcuterie board. 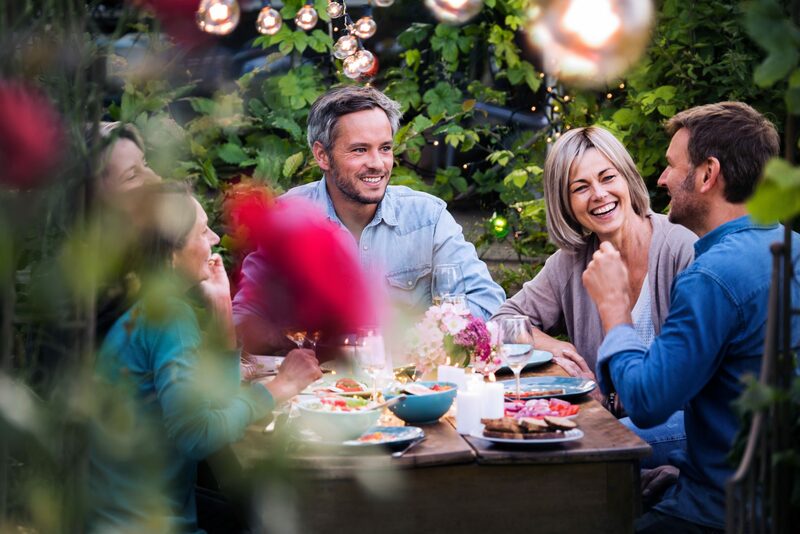 For a larger gathering, consider having people over a fourth of July backyard barbecue, drinks, and desserts, or a sit-down meal. It’s possible to use it for even larger celebrations, such as graduation parties, engagement parties, or outdoor weddings if you have enough space. To keep things simple, prepare food in advance and set up a self-serve and bar and small seating areas. This will help make your guests feel comfortable and relaxed. Get creative with themes and centerpieces and decorate the surroundings with plants and flowers. Kids love to be outside, so patios are excellent places for kids’ birthday parties. Include a burger bar, and for dessert try a s’mores bar or make your own ice cream sundae station. Decorate the trees with lights, set up water balloons, a bubble station, a tree swing, and some games to play. They are guaranteed to have a blast. Consider something out of the box like a potluck dinner or barbecue, an outdoor movie night with popcorn, a theme party, or an impromptu game night. Most of all, have fun and be creative. The possibilities are practically endless. Remember, summer is short so make the most of it. Using your patio is a great way to spend more time outside enjoying the sunshine before the cold of winter returns. To help add to the ambiance of your outdoor space, call 614-777-4254. http://Most of all, have fun and be creative”>Hidden Creek Landscaping today. Together, we can build your dream backyard! Beyond improving the aesthetic appeal of your yard, a proper landscaping design can help propagate local ecosystems, prevent soil erosion and flooding, as well as demarcate areas depending on your family needs or upcoming events. A well-executed landscaping project can add value to your home and provide you with a luxurious escape in your own backyard! In order to achieve these benefits, you will need to put several elements into consideration. These elements are your city’s zoning and permit laws, your budget, and how you will use your new space. The first thing to consider is your city’s zoning and permit requirements and laws. Of course, it helps to work with a landscaping company that is familiar with these regulations, but you should familiarize yourself with before planning the project to determine what is possible. The City of Columbus says, “The Zoning Code regulates the type of activity that may occur within specific geographic areas of the city.” You should check this code to figure out what you are allowed to build or change and where the zone of your property lies. This also includes finding out where your property line begins and ends, so you don’t go building into your neighbor’s yard. You should also check your city’s permit regulations to make sure you have the proper paperwork needed for certain projects. This is determined by where you live and the type of project you are planning. For example, the City of Columbus requires a special permit if you hope to build a deck that exceeds a certain size. Permits also differ between commercial and residential properties. In addition, make sure you are extra careful to check the regulations if you live in a historic area like German Village. These areas adhere to strict guidelines in order to preserve the historical value of the area. The German Village Guidelines say, “Whenever you consider making changes in your building site, carefully weigh whether these changes would follow established historic patterns.” It goes on to explain the types of fencing materials villagers would have used in the late 19th and early 20th centuries. These are the requirements for fencing materials today. Keep all of these zoning and permit standards in mind when researching and planning your own landscaping project. Remember to check for specific regulations unique to your city, town, or village. Budget is, of course, important to consider when you are planning a landscaping project. Make sure you set aside money for this project prior to planning it and keep this number in mind when fleshing out the details. It’s easy to get ahead of your budget when you’re looking at all of the beautiful and unique features available to you. Be sure to be selective and choose your must-haves before considering smaller details. It may also be a good idea to set aside supplemental funds for additional features you can’t live without. How Will You Use Your Landscape? A good way to determine what features you need is to think about how you will use your landscape. Are you known for your dinner parties? Do you have a birthday or graduation celebration to plan? Does your family have kids or pets? Looking at these factors will help you decide how much seating or open space you’ll need. For example, outdoor cooking and dining are becoming a huge landscaping trend. If you have any upcoming parties and you’d like to entertain outside, a new kitchen and patio would be an excellent idea. If you do have kids, you can plan on putting in a pool for the summer. Think about what you will use your new landscape for most frequently and base critical features off of that. Last, but certainly not least, spend some time deciding on the design features of your landscaping project. Color is one of the most important elements of landscape design because it adds dimension and interest to a landscape, which brings it to life. More specifically, you can use color to draw attention to a focal point, provide seasonal variety, create a mood, and blend your outdoors colors with the colors of your house. To introduce color into your landscape design, you can use planters, walls, paving, garden décor pieces and fences. At this point, it is important to note different colors typically create different effects. For instance, similar colors create harmony, whereas different colors create contrast. Additionally, warm colors such as yellow, orange and red create a different effect than cool colors such as purple, green, and blue. On the same note, you can combine warm and cool colors to create stunning effects. When designing your landscape, ensure you extend the presence of color across all seasons. A landscape’s texture includes the surface characteristic of an object, meaning it is both a tactile and visual element. In general, you can describe the texture of an object as either coarse, medium or fine. Plants, wood, bricks, stones, and other landscaping materials all possess different textural attributes. You can use these elements to enrich the visual quality of your landscape design. When using texture, consider how your landscape will appear from multiple vantage points. A landscaping professional can, of course, help you with decisions like these. If you don’t know where to start for inspiration, you can also check out existing projects on sites like Houzz. Create an account and save your favorite photos to give your landscapers an idea of what you want to accomplish. 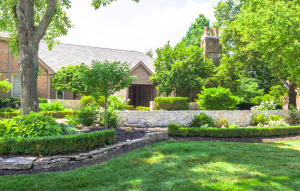 When it comes to creating a new landscape for your home, there are many factors to consider. The professionals at Hidden Creek would be happy to discuss these elements with you and decide on the best features. Contact us today or fill out our Dream Builder to get started on your landscaping journey with Hidden Creek. You’ve recently purchased a new home. The property valuer says it’s worth a lot more than it looks on the ground, however, it needs a bit of work. A fresh coat of paint, maybe a few flower beds strewn along the pavement leading to the main entrance, or perhaps even a patio. So as wave after wave of ideas sets off sweet sensations down your spine, you look around the yard momentarily and you realise that something is missing. Both of your neighbors yards have lush green lawn whilst yours appears as if it was uprooted from a disaster hit Texas ranch and dropped right where it rests now. 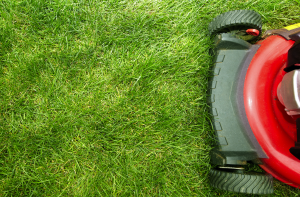 A properly maintained lawn not only gives your home a lively appeal and raise it’s value overnight. It gives you a sense of belonging, which is every home owner’s truest desire. However, without lawn care tips you might find yourself struggling to keep up. A rather familiar coin toss between two equally effective options. Organic fertilizers are fast acting and produce noticeable results in record time. Their application -in granular or liquefied form- is fairly easy and requires very little manpower. However, the cost of industrial fertilizers increases in proportion to the land area to be covered. run, tend to damage your soil ph levels and lead to bleaching. Once asked what it took to get rid of weeds completely, one landscaping expert simply replied: “Time”. 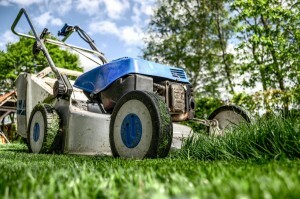 Apart from avoiding animal based manure -which introduces foreign weed seeds into your lawn- you ought to make sure that you get weed your lawn constantly whilst applying herbicides moderately over time. Everyone knows that April showers bring those wonderful May flowers, but along with beautiful blooms, weeds are also waking up from their long winter’s nap. The tremendous growth prompted by spring’s longer days and warmth can also produce a riot of weeds that can choke your garden and damage overall lawn beauty, not only in the spring, but throughout the entire growing season. Weed care is essential in the spring, more so than in any other time of year. Nothing is worse than having what should be an impeccable expanse marred by pesky dandelions, stubborn thistle and other undesirable plants. 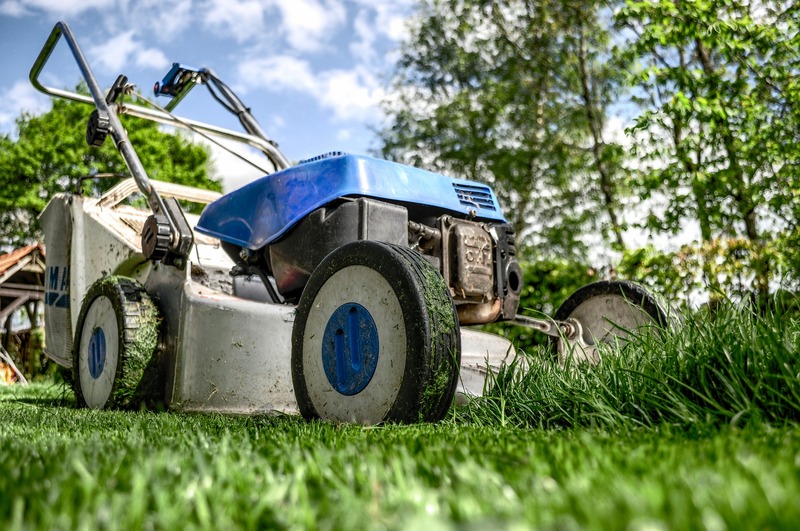 Fortunately, Hidden Creek Landscaping Inc. has a wealth of knowledgeable turf and garden professionals who can come to the rescue and head off any problems before they become major headaches. Our landscaping services are designed to keep your large residential or commercial property looking good all year long. Even with the best lawn care, crabgrass and broadleaf weeds will rear their green heads. Proper application of herbicides at the right intervals along with the right amount of water will help eliminate unwanted weeds and give you the landscape you desire throughout the year. Trained professional staff will evaluate your lawn and garden for problems and recommend a course of action that includes fertilization, maintenance and more, all on a schedule that fits your needs. Hidden Creek Landscaping goes beyond the basics to address your entire outdoor environment. Winter is often harsh on your lawn, with heavy snow piles smothering grass and fostering mold growth. As weather warms, these injured areas can become prone to weed growth, pests and disease. A good spring cleaning of leaves and fallen debris is necessary prior to other maintenance to ensure the best possible environment. We’ll also assess whether your lawn requires thatching or other services to encourage healthy growth of new grass shoots. These steps are essential prior to utilization of pre-emergent weed control and fertilization so that the applications can reach soil and work properly. Filling in bare spots during spring will also discourage weeds and help promote a healthy lawn during the remainder of the year. Winter is long gone. The snow has melted and your yard looks like a tornado swept through it. 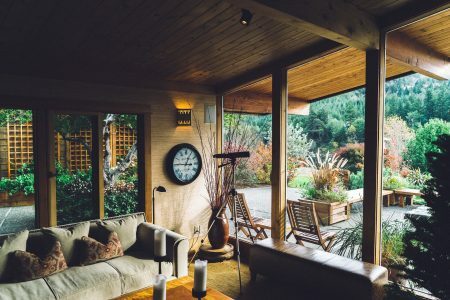 Sprucing up your yard for the upcoming spring season should therefore top your list of priorities if you derive immense satisfaction from having serene surroundings. With a myriad of ideas causing a frenzy in your mind, that can prove to be impossible. However, there’s no need to panic though as all it takes is a few spring landscaping care tips and you’ll be well on your way to creating your ultimate spring paradise. You’ll be surprised by what can be achieved when you blend simple creativity with a little structure. Dealing with weeds once and for all. There’s no better time to apply herbicides to your lawn than now. Since weeds are a constant nag, getting rid of weeds at the beginning of the season ensures that you can then focus on chores that demand more regular attention. Whilst you’re at it, this is the perfect time to be filing up all those bare patches in your lawn. For the sake of uniformity, pluck overgrown lawn -together with the roots- and fill the blank spaces. If you have the same lawn seed that can work as well. Killing those parasitic pesticides. Pests not only feed off plants but they can spread very fast and become a perennial problem. Check plants regularly for any unusual coloring or foliage damage. Once you’ve spotted a few recurring pests be sure to take these samples to a gardening centre for a diagnosis. Experimenting with an indoor garden. Bring plants indoors to make your indoors airy, vibrant and colorful. You’ll want to incorporate evergreen climbers and vines as they don’t shed their leaves often. Spring is a fun time of the year. It is a time to go out and enjoy the sun, and what better way to do that than by preparing for it in advance. Add color and texture. If your garden is lacking color and texture, pick a variety of flowers and shrubs that will vibrancy. Plan in advance of planting to be sure that you get a good mix of plant life. 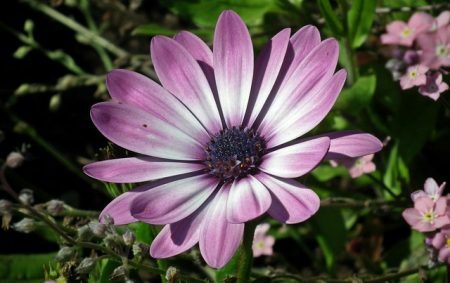 Choose plants that are well suited to each area, as some plants need more hours of sunlight than others. 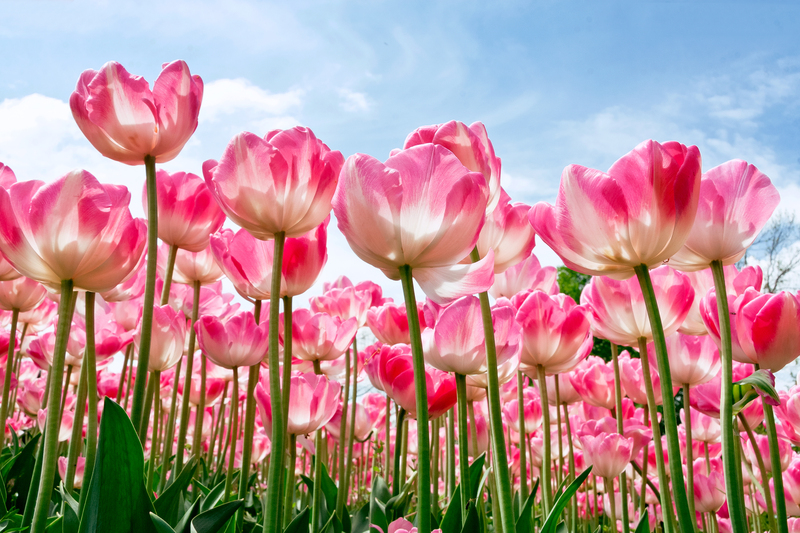 With so many lush and beautiful flowers to consider, it shouldn’t be hard to find the right ones for your garden makeover. Put in a patio. Putting in a patio is a great way to add outdoor living space and beautify your home’s exterior. A patio can be functional and decorative at the same time. 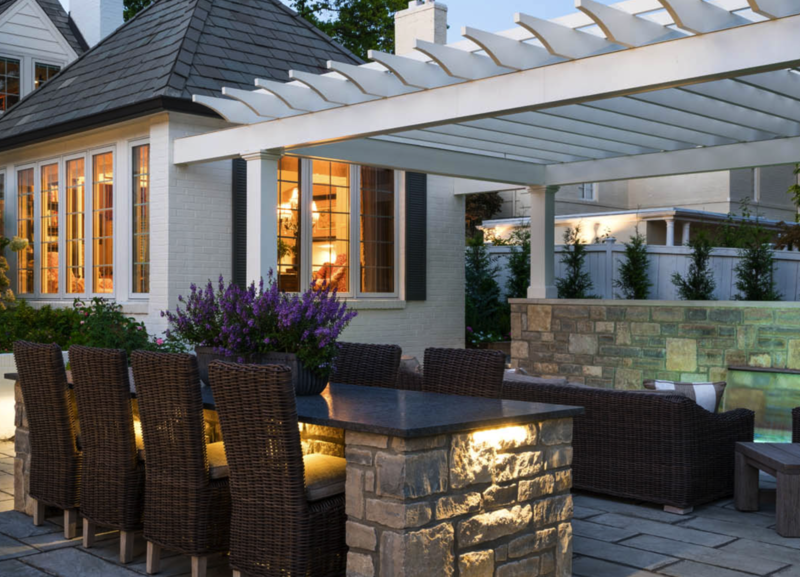 If space allows, consider adding an outdoor kitchen or bar area. You can decorate with potted plants and do landscaping around the patio to create a cohesive look with your lawn. Add focal features. 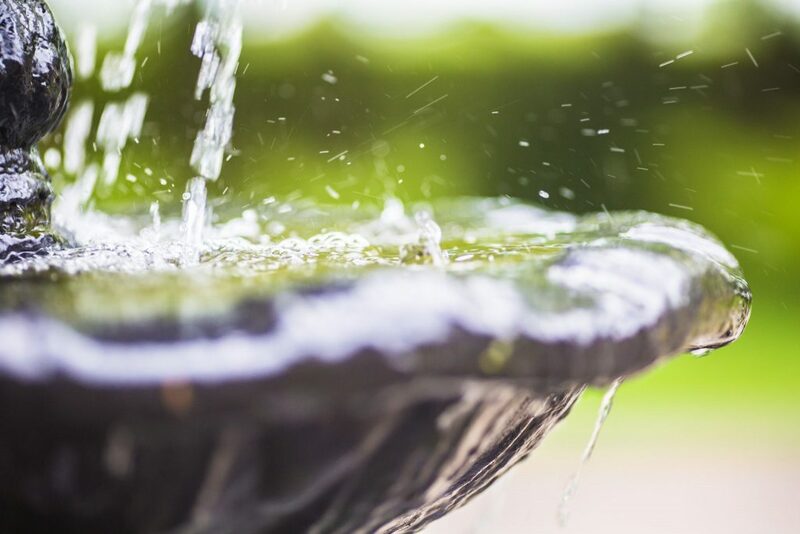 Consider adding focal features like a pond, water fountain, or a gazebo. They can bring an elegant look to the garden, and will help to fill in a larger space that may be lacking in visual details. If you’re working with a smaller space, select just one feature to focus on. A bench is another great option so that you can relax and enjoy your garden when the weather is right. If your garden is lacking in color, texture, and interesting elements, it’s time for a makeover. 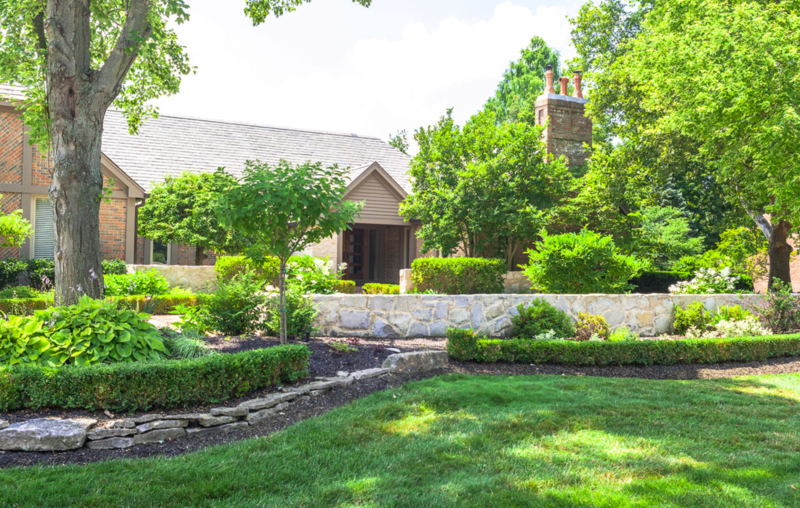 Keep these tips in mind when tackling spring landscaping this year. Cleaning and raking. The first thing to do is to clean up the yard and give it a gentle raking. Collect all debris like branches and dead leaves, and then lightly rake over the grass. If your lawn is in poor condition, you can do a deeper raking. If the grass has held up fairly well and you won’t need to put down seeds, go easy on it. By raking, you can remove debris, thatch, and find the patches that may need to be rejuvenated with grass seed. Fertilize and reseed. Many homeowners take the time to fertilize their lawn in the fall, but if you haven’t, spring is the time to do so. 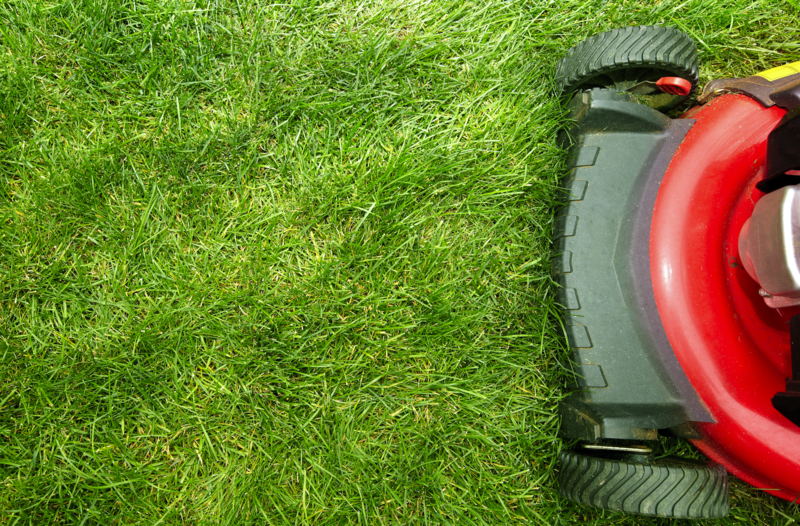 Put down a fresh layer of the right type of fertilizer for your grass. If you have bare patches that need to be filled in, add fresh soil and seed. It’s important to purchase the right type of grass seed for your lawn, and pay attention to the amount of light and shade that each patch receives throughout the day. Tackle weeds. 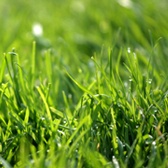 Weeds can be a recurring problem throughout the spring and summer, and they can ruin the look of any lawn. Tackle them early by using a weed killer that will eradicate them for good. There are many herbicides available, so choose the one that best suits your needs. There are even safe options available for homes with children and pets. Be sure to read the product labels carefully. Even if you’ve prepped your lawn in the fall, it’s a good idea to take some time working on it in early spring. By doing so, you’ll have lush, lovely grass to enjoy all year.